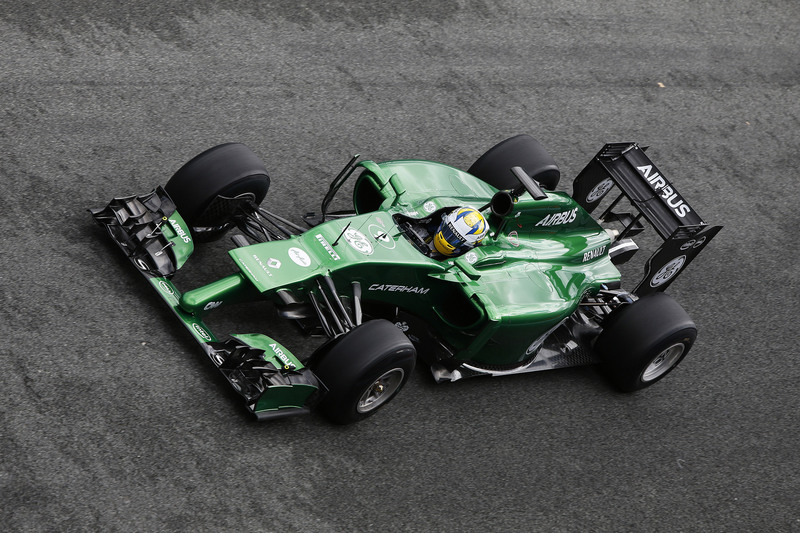 CT05 – the Caterham F1 car that Kamui Kobayashi and Marcus Ericsson will be competing with – has been unveiled in Jerez, Spain. 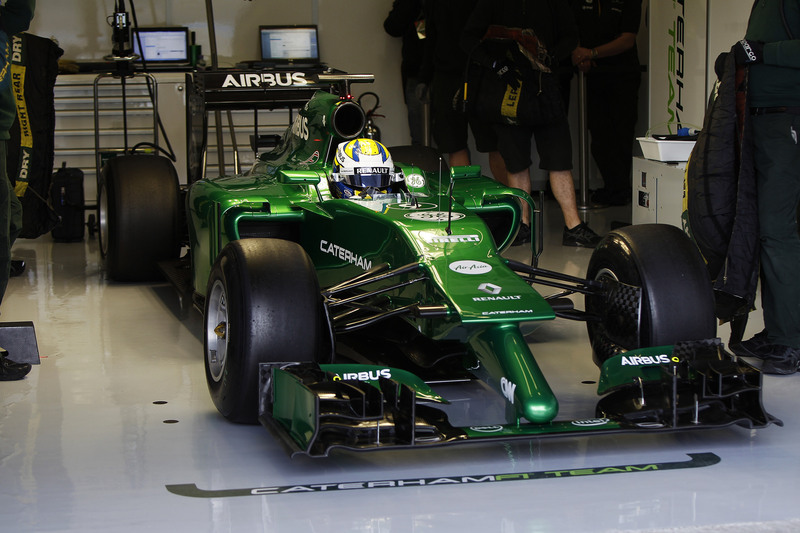 The first to be fully designed and built at Caterham’s Leafield Technical Centre, CT05 will race in the team’s new all-green 2014 livery and, for the fourth year in a row, will be powered by Renault Sport F1, using the new Renault Energy F1 engine mated to a Red Bull Technology gearbox. “The 2014 car is now much closer to many of the teams ahead and, this year, there is no reason for this to not materialise directly to performance on track. “We believe CT05 is a good starting point for us to deal with the new regulations and their associated challenges, in particular in terms of reliability. We obviously won’t know where we really are in relation to the other teams until the first race, but we believe we have answered the challenges presented by the new regulations as effectively as we can. 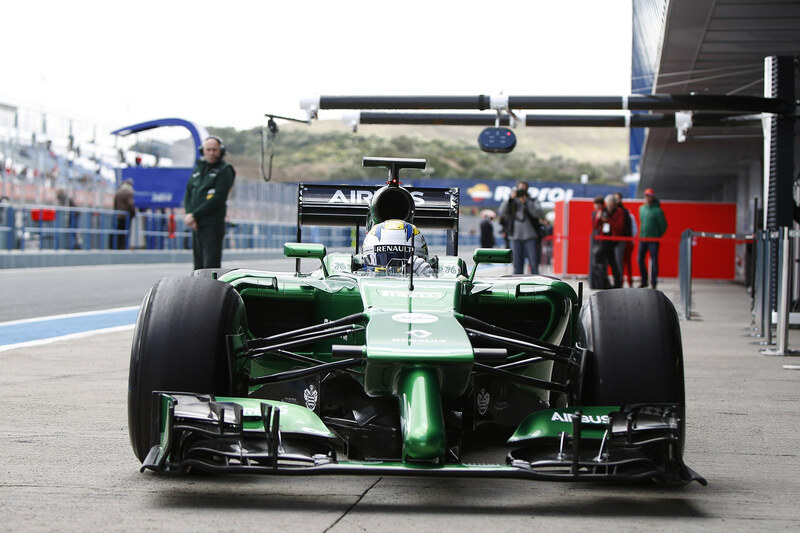 “We also have a very good reason to be positive about how this car will develop throughout the season ahead. Thanks to our relocation in 2012 to at the core of the ‘F1 valley’, and a highly selective recruitment plan, our staff are now a good mix of experience and young talent and we have moved our wind-tunnel programme to the Toyota Motorsport GmbH (TMG) facility in Cologne, Germany. “This means we are now working at 60% scale, a significant improvement over our previous facility and another sign of just how serious we are about making real progress this year. “In addition to the TMG move is an improved partnership with Dell/Intel which gives us, among many other benefits, a major upgrade to our CFD capability, a critical part of our design toolbox that is even more important this year with the rule changes governing wind-tunnel use in 2014. “In Renault Sport F1 and Red Bull Technology we have technical partners that have powered the World Championship winning team for the last four years, and, while we are realistic enough to know we are very unlikely to be competing right at the front of the grid, there is no reason why we should not be fighting higher than we have done since we came into the sport in 2010. “We have still sought to maximise aero and mechanical performance within the regulations but there has been more emphasis than usual placed upon weight reduction and, bearing in mind how critical reliability will be this year, we have been slightly more conservative in the areas around the new power unit – cooling systems, exhausts, heat management, and so on. “At the front of the car, the area that will obviously inspire most debate, we have focused a lot of effort on optimising flow structures around the nose, the front of the chassis and the reduced width front wing area, all in response to the 2014 regulation changes. Overall there were a number of other major areas the design team focused on – the front chassis height led them to opt for pullrod suspension which, according to the team, provides the best solution from both a mechanical and aerodynamic perspective. Another focus area was cooling – charge air cooler packaging has driven the cooling architecture and consequently the sidepod and rear-deck bodywork and, at the rear end of the car, development has been driven by the removal of the beam wing, again as per 2014 regulations, and the exhaust ‘blowing’ effect we’ve seen in recent years – this has created a challenge all teams will face, how to recover the rear load generated by those areas in previous seasons, and, again, something that will continue to develop throughout the season ahead.